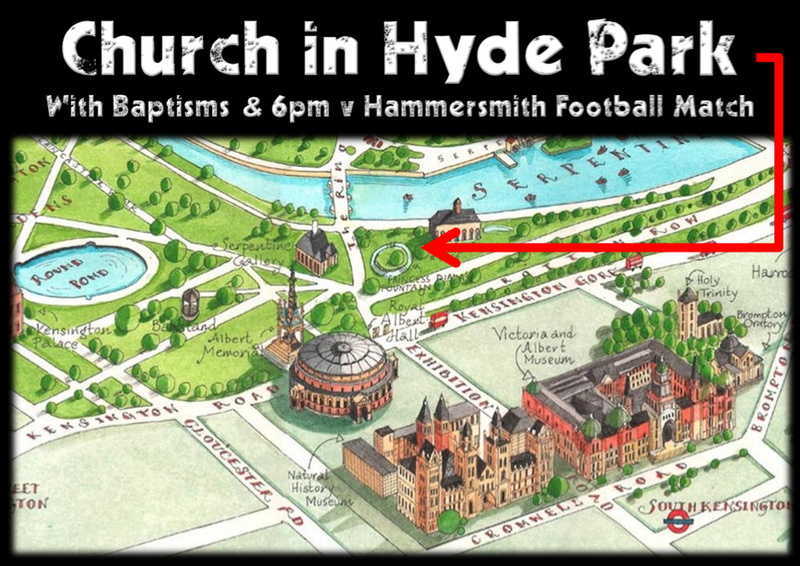 HAMMERSMITH CONGREGATION SUNDAY MORNING UPDATE: The weather is looking fine, so church in the park is ON – see you at 11.00 for a great time together! Arrive from 10.30 for a 11.00 start. Picnic at 12.00. Baptisms & football vs. The 6PM at 13.00. Meeting point is next to the Princess Diana Memorial Garden as per the image below. So bring a picnic, invite someone along, and see you there by 11.00 – sunshine predicted! PS – In case the weather isn’t suitable for a picnic, we’ll meet at our regular venue. By 8am on Sunday I’ll post an update here and on our Hammersmith FaceBook page (have you “liked” it yet?) to confirm where we’ll be.